Our luxurious square shaped cushion pads in a pack of 10 are ultimate. Filled with premium quality 100% polyester hollow fibre, our cushion pads are fluffy and wonderful for giving your tremendous lumbar support. Its lavish polypropylene casing makes it highly Breathable, durable and hypo allergic. 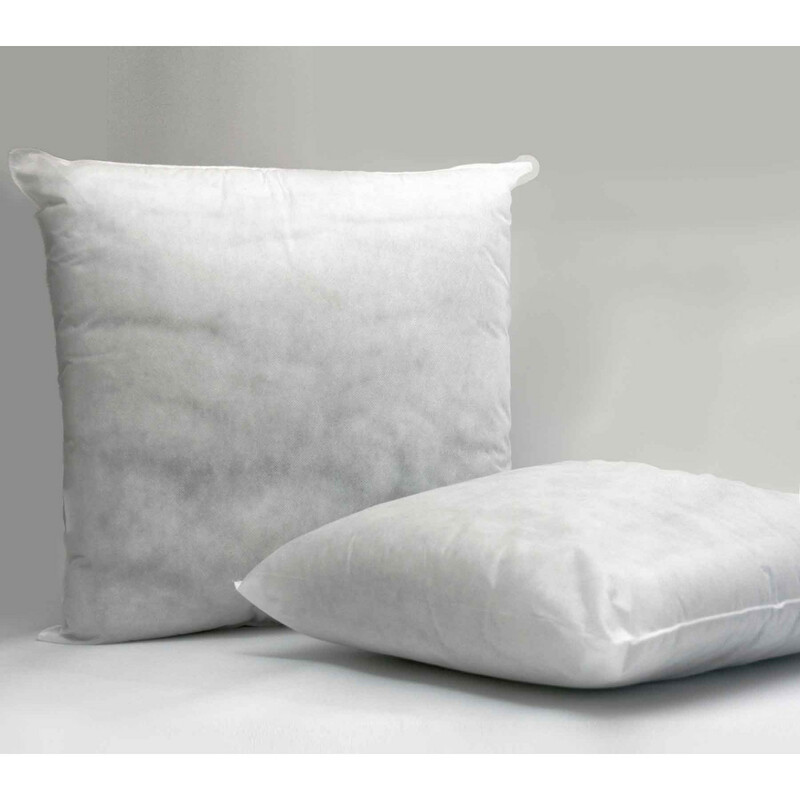 Our plush polyester hollow fibre filled cushions are perfect to be placed behind sofas, beds or chairs and patio area. Bedding mill offers a supreme quality luxurious square cushion pads in various sizes to suit every demand instantaneously. Our cushion pad in a pack of 10 will surely give you value for your money. Sizes available: 12" x 12", 14" x 14", 16" x 16" , 18" x 18", 20" x 20", 22" x 22", 24" x 24", 26" x 26", 28" x 28", 30" x 30", 32" x 32", 34" x 34" and 36" x 36"
Bedding mill offers wide range of quality Cushion pads to bestow you with brilliant comfort and brilliant bodily support. Excellent in giving superb lumbar support, our luxurious cushion pads are perfect to be placed behind sofas, beds or chairs. 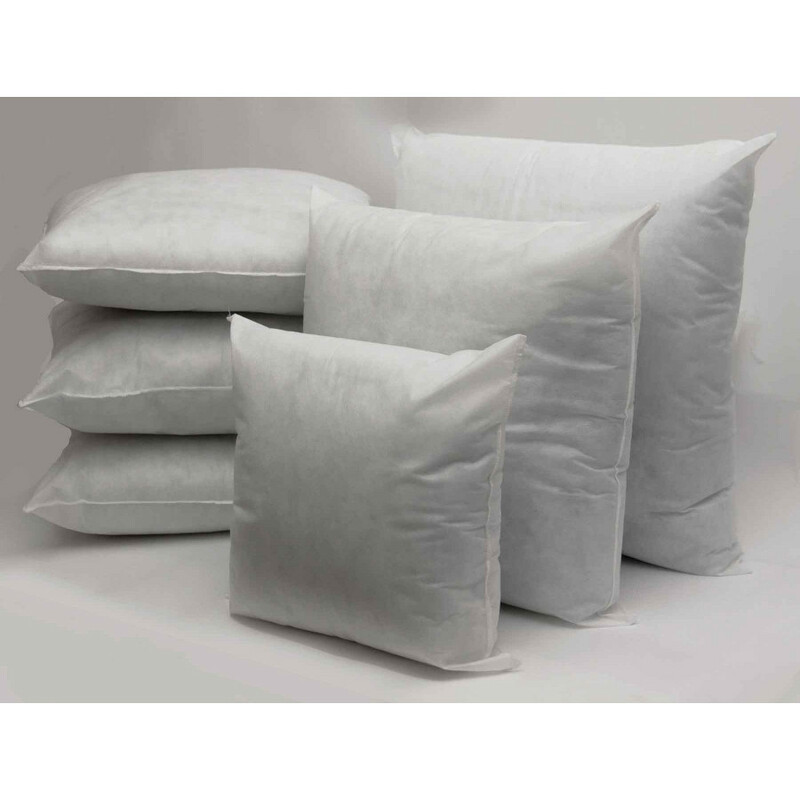 Filled with finest fillings of duck feather or polyester hollow fibre, our cushion pads are extremely soft, fluffy and highly durable. Its 100% cotton fabric with cambric down proof is extremely breathable and bestows a glossy finishing touch. Cambric down proof is highly woven fabric and prevents feathers coming through the fabric. Our lavish Polypropylene casing will give you smooth and soothing experience that you will surely love. Available in various sizes and shapes, our cushion pads are finest contrary to all others and would suit your demand instantly.